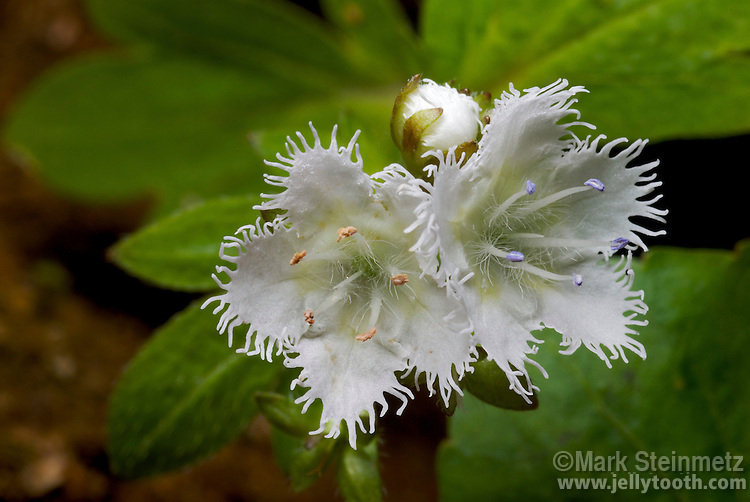 Close-up of an opening bud and two flowers of Fringed Phacelia (Phacelia fimbriata), an annual woodland wildflower endemic to the Appalachian Mountains. Rare, but locally abundant, especially in Great Smoky Mountains. TN, USA.